If you live in California, then today is an awesome day for your green family. Yesterday, the California State Senate voted to approve a ban on the toxic plastics chemical bisphenol A (BPA). Renee Sharp, head of EWG’s California office, says, “Today’s action by the Senate is further proof that the interests of California’s children can have a voice in Sacramento.” The legislation to ban BPA in baby products was sponsored by Environmental Working Group and authored by State Assembly member Betsy Butler (D-Marina Del Ray) and State Senator Fran Pavley (D-Agoura Hills). Co-sponsors of this law include Consumers Union, Black Women for Wellness, and Physicians for Social Responsibility-Los Angeles. The Toxin-Free Infants and Toddlers Act (AB 1319) is now heading back to the Assembly for a final vote later this year, but the news is promising. 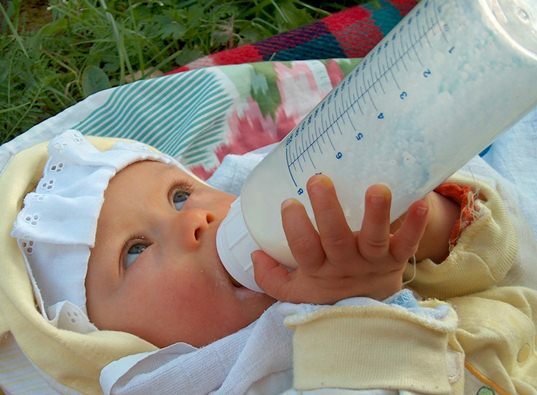 The new legislation would ban BPA in baby bottles and sippy cups made or sold after July 1, 2013, plus will require manufacturers to use the least toxic alternative substance for these products. Lead image ©Cylonka via sxc.